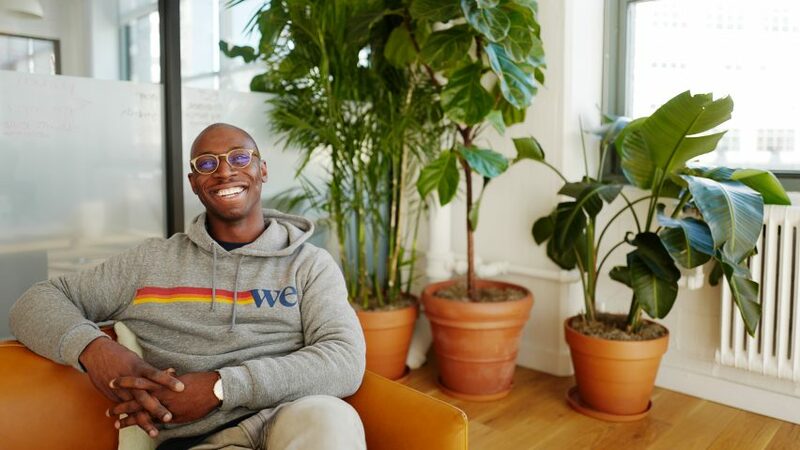 Michael Caton once delivered furniture in New Jersey, but now leads the architecture team that provides workspaces for creative startups at WeWork in New York. He explains how he got there, in this interview for the Dezeen Jobs careers guide. After studying architecture at Pratt Institute in Brooklyn, Caton gained valuable experience working at architecture studios including Ennead Architects, where he helped redevelop refugee sites. In 2018 a chance lunch with a former colleague led him to discover WeWork's vision and the rapid pace in which they were expanding. "WeWork was trying to redefine the design and delivery of space, the intersection of experience, technology and collaborative models. It was all super exciting," Caton told Dezeen Jobs. Providing workspace to start-ups, small businesses, freelancers, entrepreneurs and enterprises, the WeWork ethos strongly resonated with Caton's personal values. "I was glad to learn that there was a company pushing these things, and felt strongly that there should be more firms doing so" he said. When asked what he enjoyed most about working for WeWork, he said "the people, by far." "WeWork attracts people who are driven to make a tangible, positive impact on the world," he concluded.